For many people, the home is considered to be one of life’s greatest investments and assets. Your home could be a testament to a lifetime of hard work and savings, and more intimately, it can be a symbol of comfort, solace, and peace. Your home is valuable in more ways than one – and we at The Hurwitz Law Firm completely understand this sentiment. If you are currently facing the reality of foreclosure, fear you will default on a mortgage payment, or have recently been served with a notice of foreclosure, you must speak with our Queens foreclosure defense attorneys immediately. As skilled, experienced, and knowledgeable lawyers, we know effective and aggressive actions that can help you and your family keep your home. Put a stop to your foreclosure and call The Hurwitz Law Firm today! Foreclosure refers to the legal procedure that banks, lenders, or other property owners must follow to satisfy a mortgage in default. In order to foreclose on a property in New York, lenders are required to initiate a foreclosure action through the Supreme Court. 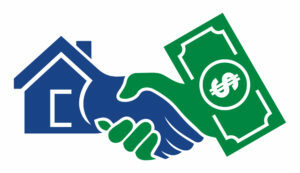 Lenders will then notify the banks that a homeowner is at least 3 months behind on mortgage payments. Do not assume that you have no options once you have been served with a notification of foreclosure. Our Queens foreclosure defense lawyers are well versed in all relevant laws and procedures and can determine which defense strategy best suits your unique situation. Our clients have the right to retain exceptional legal counsel at an affordable, reasonable price. Not only do we offer our potential clients free case consultations, but we also offer flat fee rates whenever appropriate. Everything we do is specifically formulated to accommodate the legal, financial, and emotional needs of our clientele. Protect your greatest investment. Contact The Hurwitz Law Firm now! Whether your case involves a potential foreclosure notice, or the foreclosure process has already begun, we are ready to jump into action on your behalf. With an extensive legal background reaching to debt collection defense and proactive debt relief representation, we are a firm deeply rooted in solution-oriented legal representation. No case is too complex or too tough for our firm to handle, and we take great pride in advocating on behalf of you and your family at this time. Don’t wait another moment. For your free case consultation in our confidential offices, contact our firm right away.